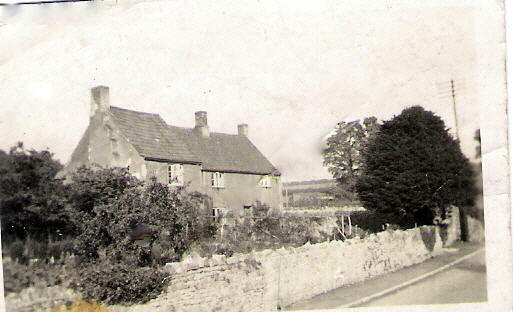 Yew Tree Farm (renamed Hill View after the yew tree was cut down) is one of the original stone buildings along the west side of Stow Hill road, probably gabled, although now it needs some imagination to see it as it was, similar to the gabled Brook Farm or Pendick's. 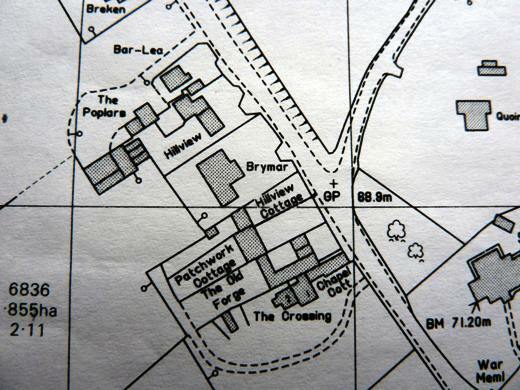 The first record of the building is in 1780 when William Pullen paid the Land Tax on it; by 1800 it was owned by Lawford Pullen, in 1839 by a different Lawford Pullen (probably a nephew) who owned the farm house, two cottages (Ivy Cottage and Patchwork Cottage) and eleven acres of land. Lawford and his family moved away to his native Cromhall soon afterwards, and it is likely that the farm was then bought by Amelia Daniels. She was the widow of Thomas Daniels who seems to have prospered, not just as shoemaker, but as grocer in the heart of the village; in the 1861 census she is described as Tundholder'. 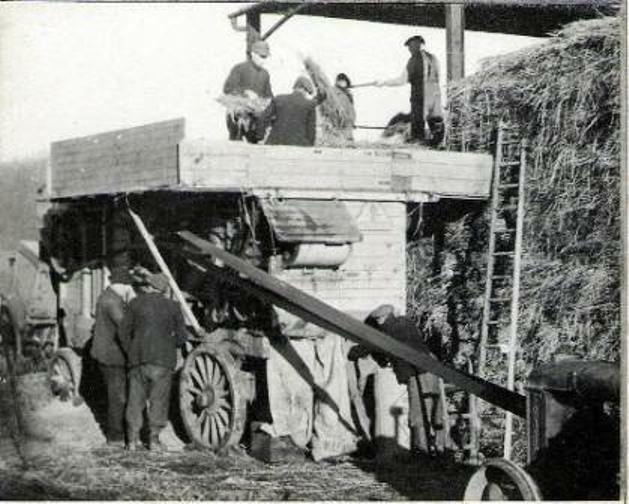 Her younger son Richard moved in to the farm and, when he died in 1880, his widow Elizabeth and his son William continued farming into the new century. 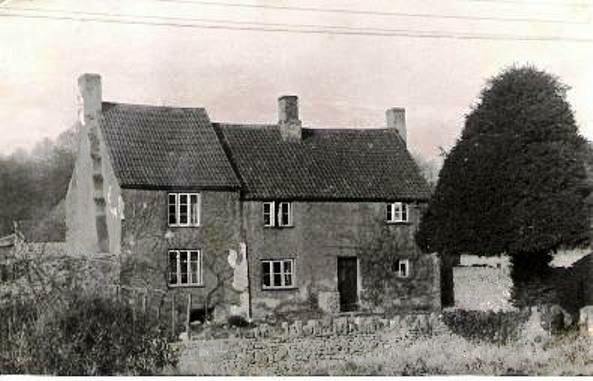 Elizabeth lived to the age of 95, moving to Church Cottage when she sold the farm in 1904 to the Squire, who put in as tenant Sidney Charles Clements. (His sister became Beatrice Rosa Kingscott, his youngest daughter Beryl Brown.) 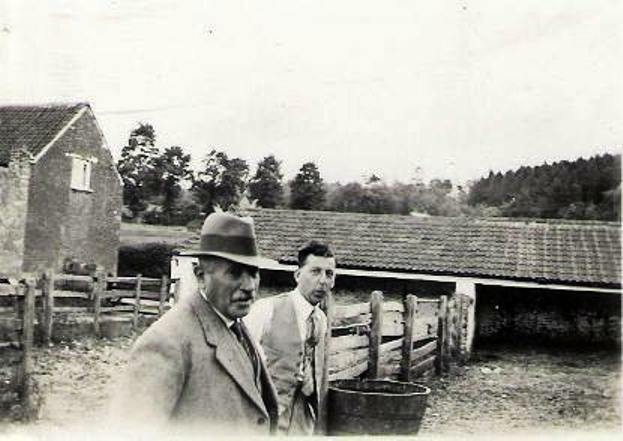 He died in 1951 and was succeeded by his bachelor son Arthur Charles who continued with the farm until his death in the late sixties. Meanwhile the farm had changed ownership several times; it was bought by Baker from the Hardwicke estate in 1936, with 38 acres, for £1335 and then passed to Taylor. It was converted into two dwellings about 1970. Click on the thumbnail photos (below) to enlarge them.